Over the past five years I have been simultaneously studying to be a Birth Doula and working my way through a diploma in permaculture. I attended my first birth just one month ago, which was a truly magical and consolidating experience. To my advantage, integrating my concurrent pathways has proved itself to be seamless in many ways. The common ground between the two is rich and fertile. Abundant in ideals and practice, they can complement each other. Permaculture is an umbrella term that encompasses many design solutions and systems that seek to realign the balance between nature, others, and ourselves. Permaculture looks to integrate human solutions with what nature already provides. Doulas add a layer of humanity and reverence to the most natural, innately human, and momentous happenings of our lives. “Doula” is a Greek word, which means female caregiver. It is an ancient role that, traditionally, encompassed preparing people for, and accompanying them and their families through, the two greatest rites of existence: birth and death. A doula is a layperson that does not need any particular credentials. Formal training is not an absolute requirement, but for those wishing to embark on this meaningful path, there are some excellent courses that will prepare, inform, and encourage. A broad knowledge of current practices and an awareness of wider cultural and historical practices can be a valuable awareness to have, but a doula always works from the bottom up — with people, on their terms — not in the world of theory. A doula does not offer medical care or expertise, but they can assist a person in navigating through the medical world by supporting their intrinsic right to do so. Before the last couple hundred years it would have been common for us all to be well acquainted with the ritualistic, spiritual and physical aspects of our closest ones birthing and dying. These events would also have, for the most part, taken place in intimate, domestic settings. Since the move towards a professionalized medical culture, beginning roughly 250 years ago, care has been largely outsourced to hospitals and specialized centers’. Rather strangely, birth and death have become, in industrialized societies, considered as separate from normal experience. They are treated, widely, as abnormal events that require intervention — often in hospitals with only medically trained staff considered fit for attendance. The renowned obstetrician Michel Odent has long championed the role of birth doulas in the delivery room. He proposes in: Birth and Breastfeeding,one of his many books, that simply having the calm, steady presence of a trusted woman in the vicinity while a woman labours will have myriad benefits–including increasing the woman’s natural flow of oxytocin,a powerful bonding hormone often referred to as the love or shy hormone. High levels of oxytocin are an essential component of natural birth and it increases in great quantities during labour. Physiologically, we have much in common with our mammalian relatives, who like to birth in hidden, dark places. When we feel protected, safe and undisturbed, our bodies and minds are better prepared to birth. Synthetic versions of birth hormones are sometimes administered when natural supplies are low, which in some cases may be necessary or even life saving — but they can also have undesirable side effects. An increased need for interventions of this type could be seen as an indication that the birthing environment is not as conducive to a woman’s wellbeing as it could be.Instead of placing medical intervention at the top of the list of solutions, her emotional state should be prioritised. This is just one example of the imbalance, liable to be overlooked in a highly medicalised system, that doulas can help redress. Doulas can attend all types of births and birthing environments such as at home and hospital births; planned caesarian or non-surgical vaginal births. 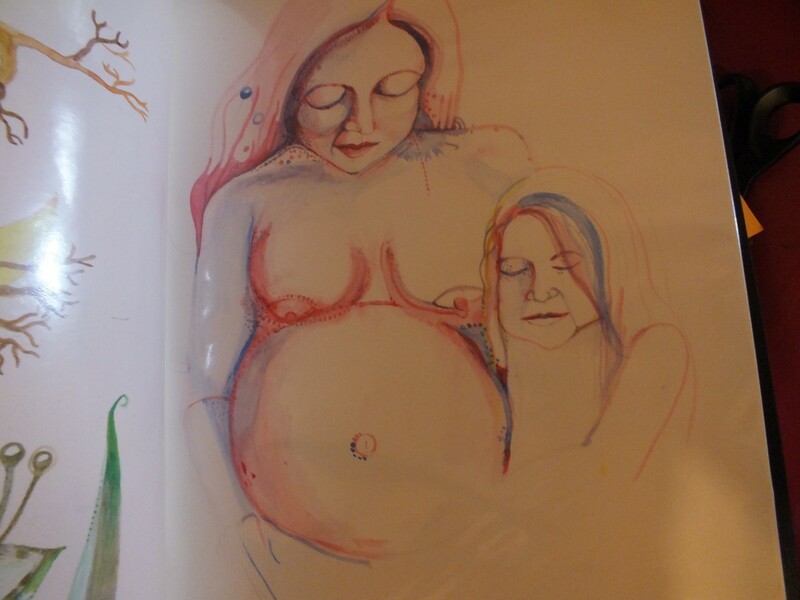 Birth doulas “mother the mother”. Many women would attest that having the support of a doula has been invaluable. If a person has a trusted friend or relative to fulfill this role, then it is so much the better. As not all of us do, doulas take a valuable place in the wellbeing of society. A birth doula will typically meet a woman (and her family, if applicable) a few times before birth to talk through expectations, build relationships, and sort out practicalities. They will attend the birth, supporting the woman and family in the way they want and will often follow on with one or two visits afterwards. There are also postnatal doulas that help with the transition of the mother after the birth, as well as with practical matters such as cooking and cleaning. In addition there are prenatal doulas that support a woman in finding her own approach to the birth beforehand, but do not attend the event itself. There are many roles doula can fulfil depending on how they work and their preferred specialty. There are also death doulas. On the opposite side of the spectrum, at the end of our lives, it is not very difficult to imagine that a steady, strong, and caring presence would be endlessly soothing in the universally inevitable journey across the threshold of the unknown. To be in an indifferent environment with no attention or regard given to your very unique and precious humanity at the very end of all you were seems the ultimate insult and loss — a sad crescendo in a throw away culture — and yet a reality for too many. There has been, as with birth doulas, a rekindling of the age-old tradition of death doulas in recent years and many are rediscovering the value of tangible human support at this very vulnerable time. A focus on building a relationship and being sensitive, receptive and present will also be at the forefront of what a death doula can offer. Doulas respect that the human body is an exceedingly intelligent system, one that we will never come close to understanding in its entirety; one that is nestled in and interacting with many other complex systems — both naturally-occurring and institutional. A doula can help a person ascertain and understand their choices, advocate for them, and also help them reflect on past experiences. Just as Japanese farmer/philosopher Masanobu Fukuoka espoused the ideology of: “do-nothing farming”which encourages less toil and a cooperative attitude towards the land. Doulas know too that being is vital; a strong presence in the whirlwind of life is what we search for in times of need. There is a well-known axiom in permaculture: Everything Gardens. This means all of our actions and opinions ripple outward to have an effect on the environment. It is important, therefore, that a doula becomes an emblem of self-care. They need a network of support along with the tools to self-reflect, download, and recharge.They need the space to fill their wells so that they may give again. They must ensure the lenses through which they view the world are as clear, compassionate, and open as they can possibly be. Doulas, of all kinds, are enjoying a renaissance. It’s not difficult to understand why. We add a layer of nurturing and unconditional support to humanity’s most cherished and sensitive moments. We do not coach. We do not advise or project our own prejudices. We do not try to solve or change. We seek to empower a person to navigate through and understand their options, to feel empowered and heard. Our role is to observe and respond to the individual, their environment, their family, and their cherished hopes. Our job is to listen — deeply, with more than just our ears — with our whole beings — always without judgments and to just stay “with”. I am a mother, scavenger and sometime enthusiast.